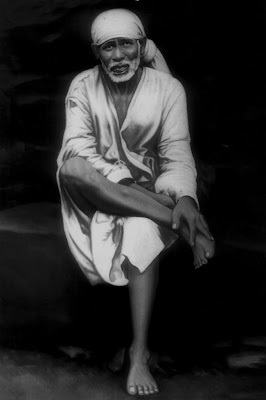 Sai In My Breath: Soul Mates! 1. Soul Mates are Always Your Best Friends. They’re also Your Romantic or Sexual Partners. (You can also have very deep connections with friends, family members and animals – I refer to them as soul friends – but other people also refer to them as soul mates). 2. Soul Mates are your Mirrors. They Reflect Back to you your Own Flaws, Insecurities, Dreams and Strengths to help you grow to the Fullest. You can rely on them to be Honest with You, Completely Honest, even to the point of not Sparing your Feelings Because they care about You that much. 3. Soul mates are your Spiritual Catalysts. They don’t Complete You, but they do help you to become the Best Version of yourself Possible. Why don’t they complete you? Because you are already complete at your core, and throughout the course of your life you are in the process of rediscovering that. 4. Soul mates are your confidants and teachers. Sometimes the lessons they teach are intentional, but often the lessons they teach are unintentional and are a by-product of your relationship with them. Because they understand you so deeply, soul mates also make powerful confidants, helping you through tough times and inspiring you to do and be your very best. 5. Soul mates feel very “familiar.” This is possibly because you have spent many past lives with them. Something between the two of you just clicks, as though you have been friends and lovers forever. 6. Soul mates often know you better than you know yourself. Therefore, they can empathize with you at a core level. 7. Soul mates vibrate at the same frequency as you. This is just a fancy way of saying that soul mates not only share your likes, tastes and goals, but they also share your deeper life values, beliefs and dreams. You both “get” each other on a DNA level. 8. Soul mates love you unconditionally. You also love them unconditionally. Although it may not be possible for soul mates to always stay together, it is impossible for soul mates to harbor feelings of hatred for each other for long periods of time. Despite what they do, you still love them, and they still love you. 9. Soul mates aren’t perfect. They have their annoying flaws, gross habits and strange quirks, but they are still amazing people deep down. 10. Soul mates aren’t always immediately recognizable. Love at first sight isn’t a myth, but it also isn’t the only way you can discover who your soul mate is. Often soul mates appear in various “Disguises” in our lives. 11. Soul mates don’t always stay with you for a lifetime. This is an extremely harmful myth that I’d love to squash once and for all! Soul mates don’t always stay until the end, but this is not a bad thing. We like to think that our lovers will be there forever because it is a comforting and sentimental thought. But sometimes life has different plans for us. Unfortunately the destruction of this ideal has wrought untold amounts of misery in people’s lives that I have witnessed firsthand. Sometimes soul mates are there for only a season, and sometimes they are there for a lifetime. But whatever the Case, Enjoy the Ride.